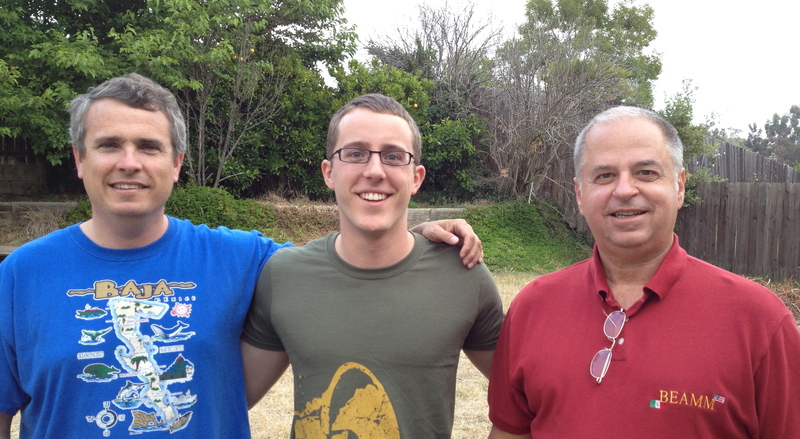 Over the last few days while I’ve been in San Diego we’ve had some wonderful people visiting us. Gene Bowman, BEAMM‘s coordinator is with us until Friday. Kelly and Kate Mulholland missionaries with Cru to Ireland were with us on Tuesday and Wednesday. Zach Lutz, our intern just arrived! Ray Call and I have been able to introduce Gene, Kelly and Kate to a number of people we are working with. I love being able to connect people. Seeing them get excited as they learn what God is doing on the border. It’s Gene’s first visit with us. Gene and LuAnn are beginning to make some transitions in ministry themselves, but even with that I’ve been overjoyed to have him meet our ministry partners. It’s been exciting for all of us to see the Lord at work. God is definitely on the move in this great bi-national city of San Diego – Tijuana. We long to see him do more, and touch this city socially, culturally and spiritually. Dawn and I know Kelly and Kate from Village Seven Presbyterian Church in Colorado Springs. It’s been a special treat to have them meet our friends and see what we are doing. They have faithfully served the Lord in Spain and are now serving in Ireland. I always enjoy connecting with friends and fellow missionaries. We love Kelly and Kate, and we pray the Lord’s rich and special blessing as they love and serve Him! Who knows maybe someday the Lord will give us the privilege and opportunity to serve Him together on the border. We keep praying for the Lord to build our team, to bring workers. We trust that He will draw the right people at the right time! Thank you Jesus for your holy and powerful work. Thank you for giving us such outstanding partners and friends. We couldn’t do this work without the encouragement of so many friends.